GENERAL: the most distinctive feature of this cat is its appearance of hairlessness. The Sphynx is of medium size and body conformation with surprising weight for its size. Females are generally smaller than males. The head shape is a modified wedge, with prominent cheekbones and whisker pads giving a squared appearance to the muzzle. The body feels warm and soft to the touch, with a skin texture akin to either a soft peach or a smooth nectarine. 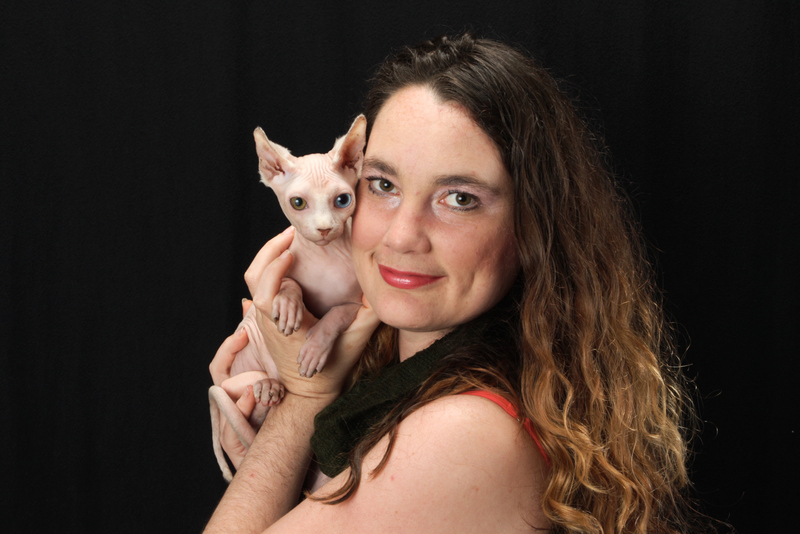 The Sphynx is sweet-tempered, lively, and amenable to handling. HEAD: the head is slightly longer than it is wide, with prominent cheekbones and a distinctive whisker break. The skull is slightly rounded with a flat plane in front of the ears. The nose is straight and there is a slight to moderate palpable stop at the bridge of the nose. COAT/SKIN: the appearance of this cat is one of hairlessness. However, short, fine hair may be present on the feet, outer edges of the ears, the tail, and the scrotum. The bridge of the nose should be normally coated. The remainder of the body can range from completely hairless to a covering of soft peach-like fuzz, no longer than 1/8th of an inch (two millimeters) in length. This coat/skin texture creates a feeling of resistance when stroking the cat. Wrinkled skin is desirable, particularly around the muzzle, between the ears, and around the shoulders. There are usually no whiskers but if whiskers are present they are short and sparse. hairlessness. When two such cats are bredsome of the kittens will be hairless. On the plus side, when two hairless cats mate they produce entirely hairless litters. The SPHYNX, above all else, is a hairless cat. The hairlessness of the SPHYNX, of course, results from differences in hair deposition and/or maintenance between the SPHYNX and normally coated breeds. We will discuss empiric, scientific and statistical data as it relates to the physiologic, biochemical and genetic differences that separate the SPHYNX from other normally coated breeds and that allow for variances within the SPHYNX for degree of hairlessness. 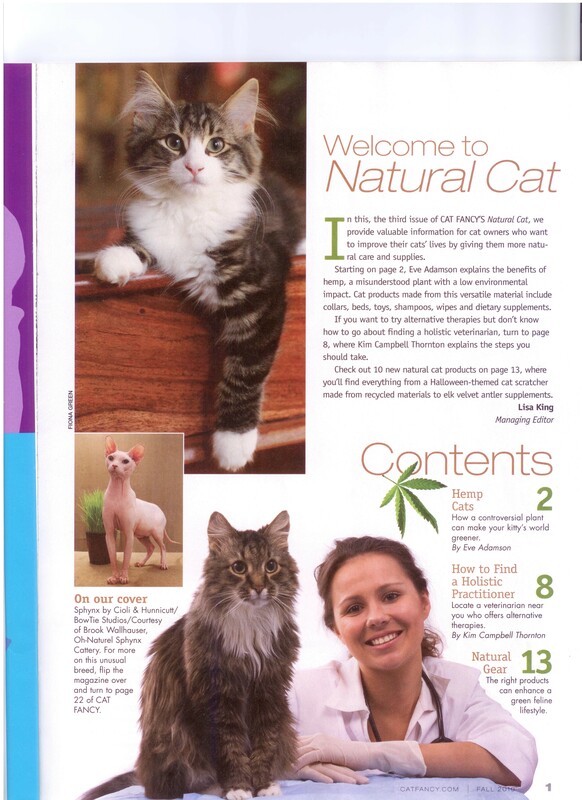 Sanspelo suggests that you review the discussion on normal feline hair growth before reviewing the discussion of hairlessness. The history of hairless cats--note that "hairless" is a relative term in this discussion as most hairless cats do have at least a fine stubble of hair--is a repetitious cycle of the spontaneous, sporadic appearance of one or two hairless cats in a litter with other normal coated siblings. As we move through the twentieth century, we see that those naturally occurring mutations are reported approximately once a year somewhere in the world--usually in the northern latitudes of North America or Europe. 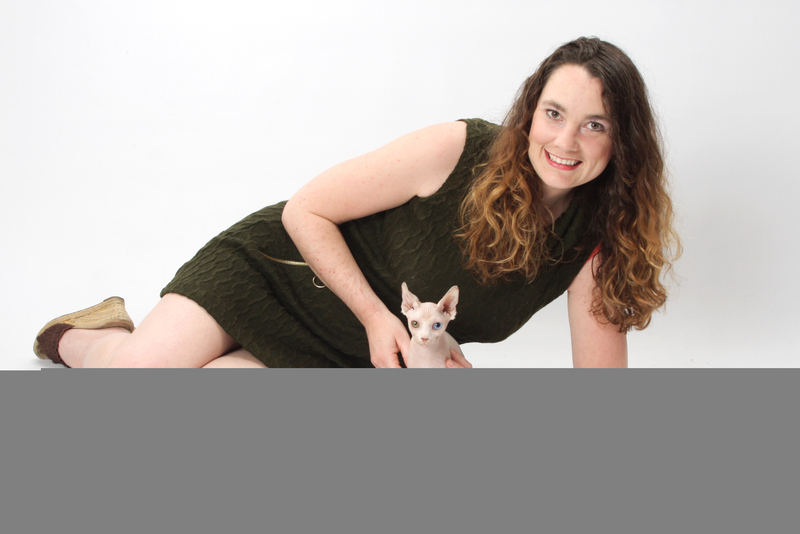 In our development of the SPHYNX breed, we have worked with a particular gene for hairlessness (hr) which we describe in Mendelian genetic terms as recessive to the gene for normal coat (Hr) and incompletely dominant to the gene for the Devon Rex coat (re). However, in observing our SPHYNX through their life cycles, we note that some SPHYNX known to be heterozygous with the Devon gene (hr re) remain very hairless throughout all conditions of their entire lives, some relatively hairy throughout all conditions of their lives and some vary depending on their environmental and hormonal conditions. Likewise, SPHYNX known to be homozygous (hr hr) also fall into a similar spectrum. 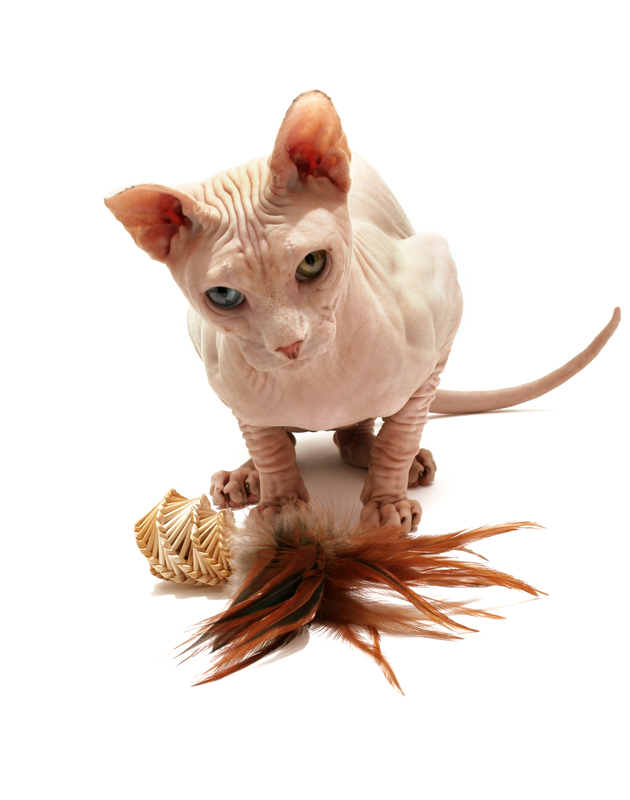 Further, we know that this gene site (hr, Hr, re) can determine hair stability (SPHYNX ) and/or curliness (Devon Rex) and that hairs that do grow carry the pigment of their coat color at the site of deposition--this categorizes them as either primary or secondary guard hairs and suggests the lack of Down hairs in the SPHYNX . Lastly, we have observed that the SPHYNX phenotype is associated with a decreased anagen:telogen ratio, early breakage of the cat's whiskers and early loss of teeth, which are similar to hair in that they are also of ectodermal origin thus giving them a commom developmental pathway.